Visual Studio Code>Extension Packs>Ultimate Angular Extension PackNew to Visual Studio Code? Get it now. 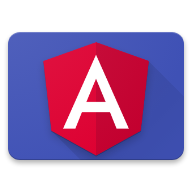 An opinionated list of extensions to help you develop angular apps. To know more please refer to this MEDIUM ARTICLE. The source code is licensed under the MIT license. I would like to express my thanks to all the extension developers!